With more than 20 years experience as a licensed real estate broker, Chris brings a marketer's eye to every property he lists and practiced negotiation skills to every transaction he takes on. Chris Glave grew up in Santa Barbara, California, and attended University of California, Santa Barbara, with a background in marketing and advertising. With more than 20 years experience as a licensed real estate broker, Chris brings a marketer's eye to every property he lists and practiced negotiation skills to every transaction he takes on. It's a combination that has resulted in a track record of satisfied clients. With top-performing experience to achieve the desired results, it is no wonder that 95 percent of Chris' business is from repeat business and positive client referrals. Chris' approach to real estate begins with listening and understanding his clients' interests and needs, then applying his keen insights into the dynamics of the Marin real estate market. Chris' ability to troubleshoot, his attention to detail, preparation of homes before they go to market, and explanation of every step of the real estate process ensures clients are prepared for a successful transaction. Strong community ties make Chris the go-to guy when it comes to keeping your finger on the pulse of the neighborhood buzz. A resident of Mill Valley for more than 20 years, both of Chris' children attend local public schools in Mill Valley. Chris is an active supporter of the Kiddo! school foundation that is instrumental in bringing arts and music enrichment to Mill Valley Public Schools. In addition, Chris is a member of the Mill Valley Chamber of Commerce, the Tam High Foundation, Mill Valley Little League, and Mill Valley Soccer Club. Chris enjoys many outdoor activities available in Marin, and he has run the famed Dipsea Race for many years — and the last few with both of his children. You can rely on Chris and his wide network to successfully market properties, help you find the right neighborhood, and match buyers with sellers to find the right property at the right price. Whether you are looking for your new home in the towns of southern Marin, including Mill Valley, Sausalito, Larkspur, and Tiburon, or the northern Marin communities of San Anselmo, San Rafael, or Novato, Chris Glave can help you find the home of your dreams. A key member of the Compass leadership team, Mark A. McLaughlin is a visionary leader in the real estate industry, McLaughlin led the acquisition of Pacific Union Real Estate in 2009 to become Pacific Union International, Inc., an expanding global brand. 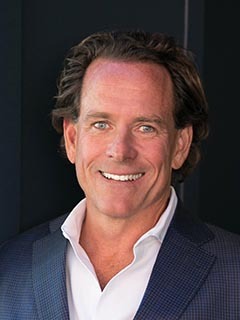 Under his leadership, Pacific Union has grown from a boutique luxury real estate brokerage with sales volume of $2.2 billion into the premiere California brokerage and one of the top 10 real estate firms in the U.S. with impactful international reach and combined sales volume of $14.1 billion in 2017. In 2018, Pacific Union, joined forces with Compass, a fast-growing national powerhouse committed to building the first modern real estate platform. Throughout 2015-2017, McLaughlin led mergers with urban residential sales and marketing firm The Mark Company, and four top tier real estate brokerages in Northern and Southern California. They include Los Angeles luxury brokerages John Aaroe Group, Partners Trust, Gibson International and Bay Area based Empire Realty Associates. This union seamlessly links 1,700 elite real estate professionals operating in more than 50 offices throughout coastal California. Additionally, McLaughlin diversified within the brand to develop joint operating ventures in the mortgage, insurance, and property management services. He pioneered residential real estate outreach to Asia, establishing a China Concierge office in Beijing in 2013 to support the needs of Pacific Union’s clients in Mainland China. Directed by McLaughlin, Pacific Union vigorously executes against a unique, high-performance vision for the development of the real estate firm of the future. Key to this vision is the brokerage's Innovation Lab, created to accelerate technology development unsurpassed in the industry. The technology stack launched through this initiative includes a robust array of proprietary tech tools that connect the “cloud to the street,” putting faster business analytics into the hands of elite real estate professionals and creating the ideal road map for the ultimate client experience. A hallmark of McLaughlin’s success is executive team leadership development, open communication, and teamwork, with keen emphasis on quantitative goals and exceeding client expectations. Inspired to serve his clients, employees, partners, and the community, McLaughlin’s leadership extends to the Pacific Union’s Community Fund, with giving topping $1 million. 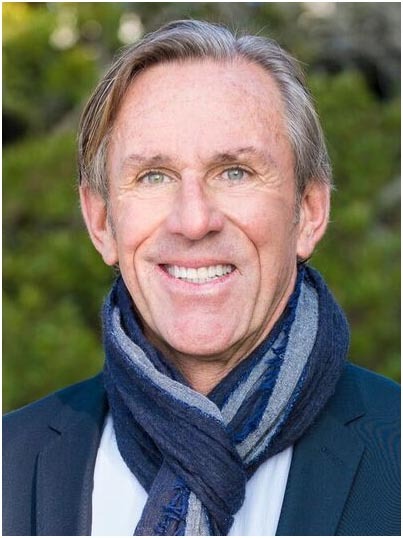 Prior to acquiring Pacific Union, McLaughlin founded the Marin County-based real estate brokerage Morgan Lane in 2006, building it to become the leading luxury brand in the region. Earlier in his real estate career, McLaughlin served as the interim president of Sperry Van Ness International and held key management roles with LoopNet, Inc., NASDAQ: CSGP; Jones Lang LaSalle, Inc. NYSE: JLL; and Colliers International. McLaughlin was raised in the Bay Area and attended the University of California, Berkeley. He resides with his family in Marin County. A key member of the Compass leadership team, Brent Thomson oversees all aspects of the brokerage's operations, including optimal engagement, performance, and recruiting of California's top real estate professionals. In addition, she oversees executives in Pacific Union's Marin County, Napa County, Sonoma County, East Bay, Contra Costa County, and Lake Tahoe regions. 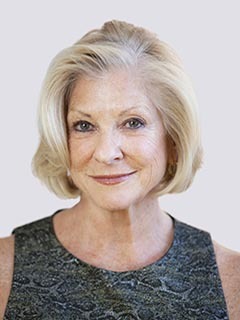 Thomson brings with her a proven track record of leading and motivating top performers in highly competitive industries, including an eight-year tenure as president of Pacific Union's Marin County region. In that role, Thomson grew Pacific Union's market share in Marin County by 20 percent and also served as a visionary member of the brokerage's board of directors, contributing to its growth from sales volume of $2.1 billion in 2009 to $14.13 billion in 2017. Thomson’s 30 years of experience includes roles as a vice president of worldwide sales operation at both IBM Corporation and Lotus Development Corporation, where she was responsible for multiple teams of sale professionals, generating revenue of $700 million per year. Such success in highly competitive environments was a direct result of Thomson’s understanding of the manner in which top performers are motivated and how they react and respond to market conditions and client objectives. Florence came to the US to finalize her art degree after receiving a Master’s Degree in Communication & Advertising in France. She followed her studies with work as a retail consultant & home furnishing product developer for a large chain retailer. Since opening her first Interior Design Company in 2003 Undefined Décor, she has produced a number of residential projects for clients in San Francisco Bay Area and vacation homes in France & on the East Coast. For Florence, good design is found in the graceful composition of antique + modern elements, wonderful color + texture, with a dash of daring. She followed her passion of architecture, antiques & art, which ultimately lead her to extensive work in home staging. 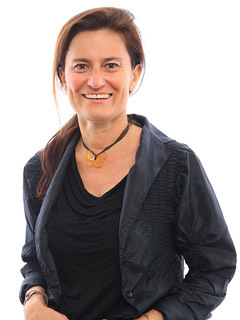 Her work has been has been featured in Bay Area - California Home - design Magazines & SF Chronicles. Florence is an amateur abstract acrylic and encaustic artist, a member of the Marin Charitable Association, a non-profit organization which plays a crucial role in enriching the lives of children at risk in our community and a sustainer of San Francisco Bay Area Discovery Museum. Gerard Dluzak & Redican Homes is a North Bay custom home builder that builds, remodels & maintains homes of all shapes and sizes throughout the San Francisco Bay Area. Gerard Dluzak and his team can see your project through from concept to finish no matter the scope or size. They are committed to providing the very best workmanship, on time and in budget. Whether it’s a simple remodel or an extraordinary architectural estate, Gerard Dluzak & Redican Homes works closely with clients in fulfilling their dreams.